HOUSTON (KTRK) -- An investigator with Harris County Atty. Vince Ryan's office shot and killed an armed man late Sunday evening. 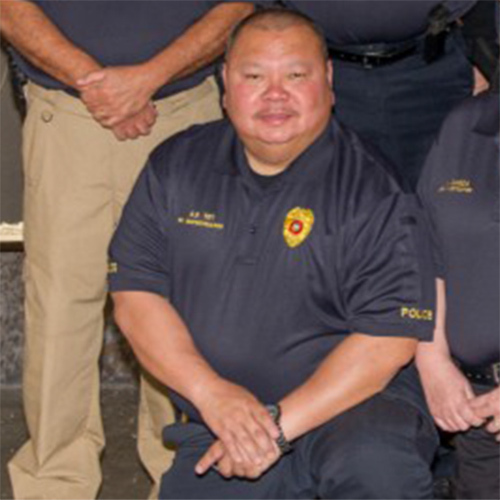 According to the Harris County Attorney's Office, investigator Tony Yet was having dinner inside the Mien Tay Quan restaurant when a fight broke out among some other patrons. Yet, who was eating with his own friends and off duty, escorted two of the other patrons out. He apparently broke up the fight. Some time later, one of the men returned to the restaurant with a weapon. Investigators say the man fired into the restaurant from the parking lot. That's when Yet, who is a trained peace officer, fired back. The suspect was hit and killed. The investigator was not hurt. Nobody else in the restaurant was hurt. The incident happened after 10:30 in the evening on Sunday. However Harris County Sheriffs Office investigators worked through the night and were still on scene 10 hours later. Investigators for Harris County Atty. Vince Ryan's office mainly work on civil matters, and provide investigative of various legal matters that are the responsibility of the County Attorney. They do carry weapons and are trained peace officers. However it is not known at this point whether Yet shot with his service weapon or a personal weapon. He has been with Vince Ryan's office for about three years.